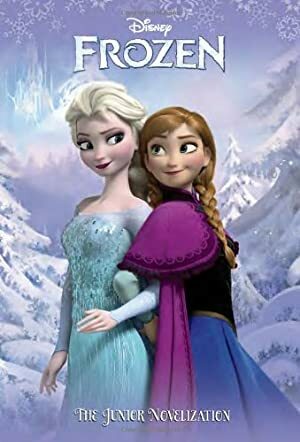 Frozen was a phenomenally successful Disney computer animation movie, released in 2013. This profile also covers the 2015 short Frozen Fever. 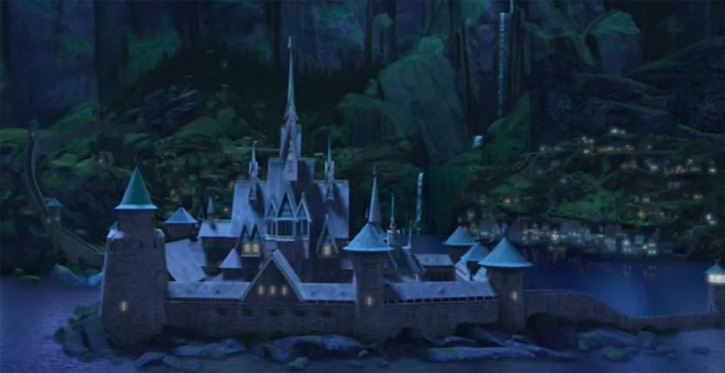 Frozen was inspired by Andersen’s The Snow Queen fairy tale. This profile includes S P O I L E R S, for the handful of living beings on Earth who have not seen Frozen. Known Relatives: Anna (younger sister), King Agnarr (Father), Queen Iduna (Mother). Height: 5’4” Weight: 100 lbs Age: 21. Elsa was born with magical powers that gave her the ability to create and manipulate snow and ice. Her powers allow her control over temperatures as well. Herself being completely immune to frigid temperatures. At a young age she tried to conceal her power, her father suggested gloves, possibly a psychological mindset to keep her anxiety level down. She can also create and enchant snowmen giving them a life of their own. Olaf and Marshmallow are two examples of these permanent constructs. 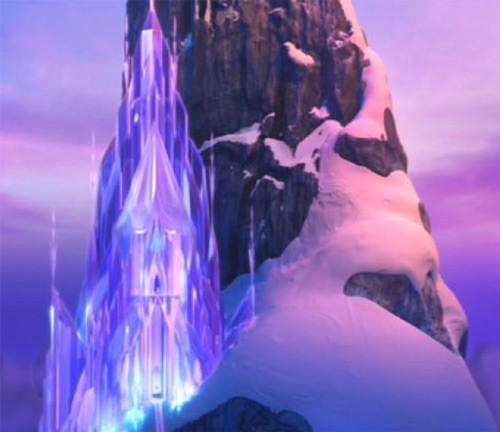 Elsa can manipulate ice to construct an ice palace, a stairway to its entrance, and even her ice colored gown. Elsa can change the ice’s colors to match her emotions, as shown within her ice palace: blue when she’s happy, red when she’s frightened, purple when she’s sad and amber when she’s angry. Also, in Frozen Fever, she is shown to be able to create emerald green ice. 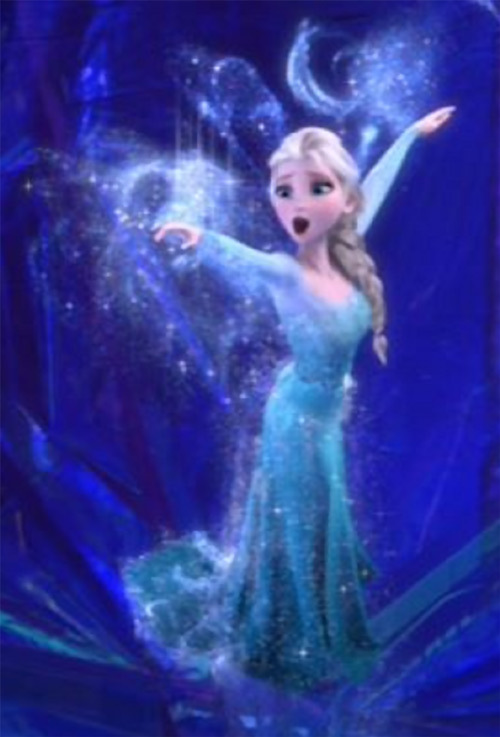 Elsa may summon snow flurries to blizzards covering massive distances. When turned on a living being Elsa has the potential to kill without meaning to. If she “freezes the heart” the victim of her attack will slowly freeze until transforming into solid ice! Her powers react to her own emotions and if she is afraid or anxious her powers can get out of control and become dangerous to those around her. Elsa, by the end of the film had learned much more about controlling her power. 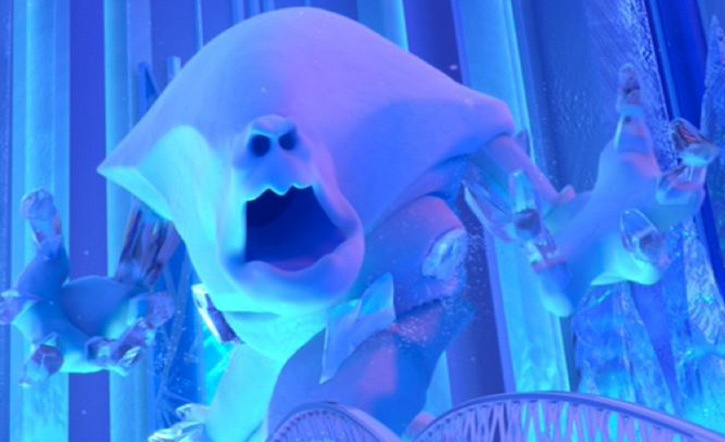 However, in Frozen Fever we see that Elsa is still vulnerable to minor power fluctuations. With the Aurora Borealis overhead and ice men gathering ice-blocks from a frozen lake below, Anna disturbed Elsa’s sleep. 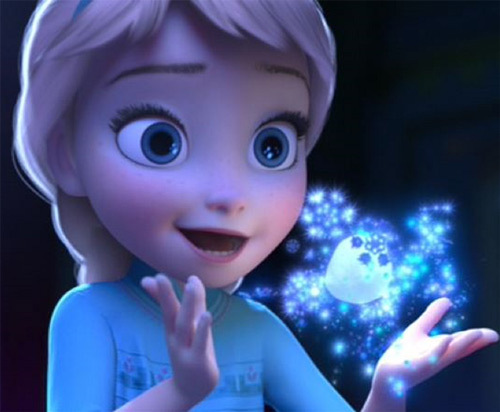 Elsa, Anna’s older sister, had the unique power from birth to control snow and ice. She would create for her younger sister a winter wonder-land while their parents, the King and Queen, slept. On that fateful night, Elsa inadvertently use d her power on Anna. Anna, fatally injured, was taken to some nearby mystic trolls. They removed all magic from Anna’s body, even altering her memories, to save her life. Elsa and her sister were princesses of the lake kingdom, Arendelle. From that night their lives were changed. No one, even Anna, could ever know Elsa’s secret. Anna did not understand why Elsa began isolating herself from others. 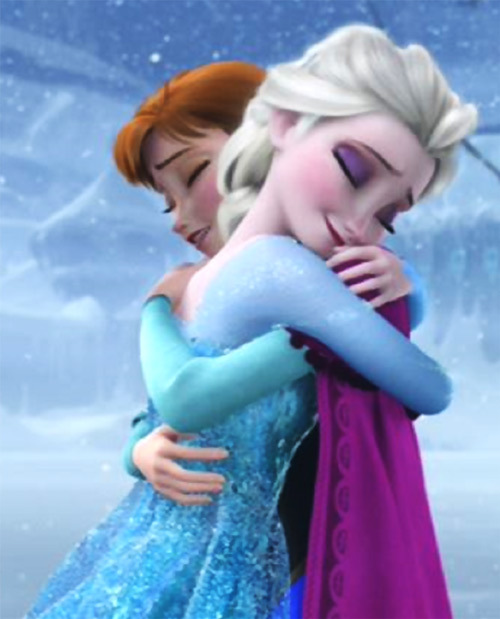 Elsa grew emotionally cold and fearful of hurting others with her powers; she leaned on her parents for support. Her father gave her a pair of gloves to help. Sadly, at 18 years old, her parents were lost in a storm at sea. Coronation day. At 21 Elsa was of an age to take control of Arendelle. Subjects from all over came to bear witness and show their fealty to the new Queen. The gates would be open ALL DAY! Anna was so excited to finally get to meet new people and possibly meet “the one”. She was giddy as the guests began to arrive and she moved among them until she ran into, quite literally, Prince Hans of the Southern Isles. They hit it off to say the least! Anna and Hans decided within a single day they should get married. Love at first sight! 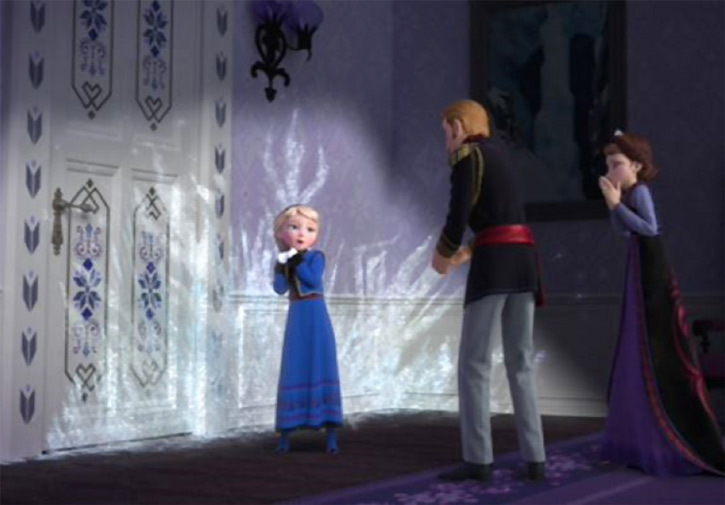 Anna and Hans were so excited they came straight away to Elsa to ask her blessing. Elsa adamantly refused. ”You can’t marry someone you just met!” Anna did not understand and shouted angrily after her. Elsa lost her temper and control of her powers, with a sweep of her hand an icy blast leapt forth revealing her secret to all attendees! Panicked, Elsa fled her kingdom. As she fled, her power unraveled more and more from her grasp on them. The ground froze over where she stood, water fountains froze solid, and icy blasts shot from her hands. Snowflakes began to fall…and they did not stop. Elsa had held in her emotions and powers for so long. She felt like a failure when she lost control but relieved that it was finally over. Her secret was out and there was no putting it back. She fled into the mount ains just wanting to be free. With Arendelle so far away and her secret revealed, Elsa did indeed feel free. She let loose of her power to see what she could do. Elsa created many artistic styled snowy blasts, a snow man from a childhood memory, and an Ice castle in seconds, intent on never going back. Anna joined with Kristoff, a young ice-man, and his reindeer, Sven. They travelled into the mountains to find Elsa. From the mountain side the group could look down on the frozen Arendelle. Elsa would have to thaw it. On the way, they meet Olaf the animated snowman from their childhood. 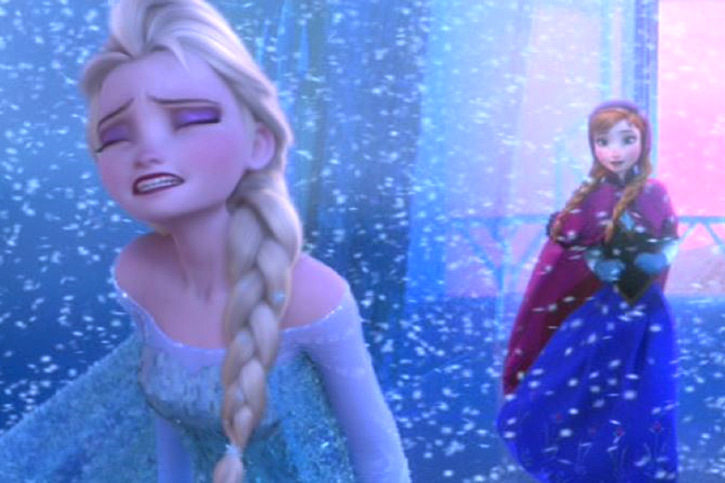 Anna told Elsa of the endless winter she’d caused and in despair Elsa’s power blasted out of her in a wave. The wave caught Anna in the chest, hitting her heart this time and dropping her to her knees. When Kristoff and Olaf arrived, the three begin again to plea with Elsa to come with them. Hans, in the meantime, had assembled several men and tracked down Elsa at her Ice Palace. They defeated Marshmallow who plummeted into the crevasse and captured Elsa. They brought her home to Arendelle and imprisoned her there. Kristoff returned Anna to Arendelle as well then left her in Hans’ care. Hans, as it turns out, didn’t love her and couldn’t undo Anna’s frozen heart. In fact, he only wanted to marry Anna to secure a rulership of his own. With the sisters gone, he would rule Arendelle. Hans left Anna to die. He then convinced the ruling members to kill Elsa for treason. Kristoff realizing he loved Anna returned. Anna realized the same thing and went out into the fjord seeking Kristoff. Hans, Kristoff, Anna and Elsa all came together on the ice. It would end here! Hans attempted to kill Elsa but it was Anna who stepped in the way holding up a hand and stopped his sword stroke. However, at that moment, Anna froze solid and the sword broke against her. It was Anna’s own selfless act that unthawed her heart. Elsa realized that love w as the trigger that allowed her complete control over her powers and with that revelation she removed all the snow and returned the kingdom to summer. Her enemies, now revealed, were dealt with. Elsa decreed the gates would never be closed again. Elsa is tall with a slim body. She has long platinum blonde hair, blue eyes, a small nose, and very pale skin. She will wear her hair up and tight, but when she “let it go” her hair came down as well into a single French-braid. 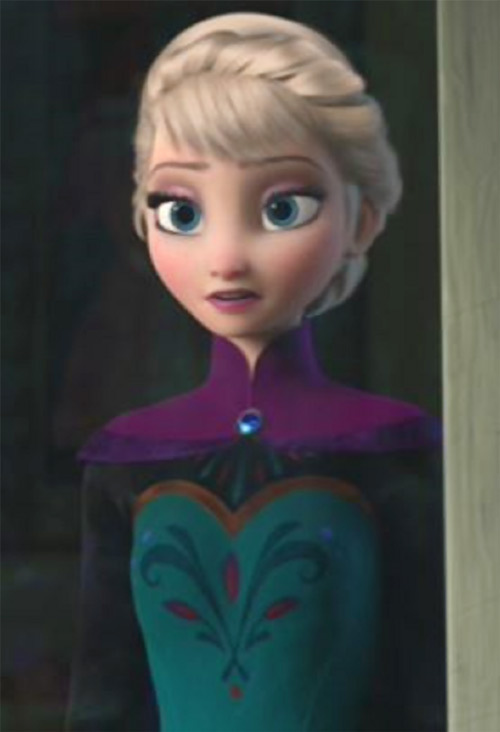 Elsa wears green and purple while in Arendel le similar to her sister Anna. When she is on her own she changed her dress to a pale blue color. She wears lavender eye shadow. Elsa wears high-heels as well. Quiet and reserved. Elsa has kept her emotions in check since that fateful night when an accident hurt her little sister. As a result Elsa grew up distanced from others. Her life had become a lonely misery. Losing her parents was another tragedy, and though others reached out to her especially her sister Anna, she would deal with alone. Once she took on the role of Queen, she appeared calm, reserved and poised. The elegant Queen of Arendelle. However, under the surface, Elsa is quite fearful of the secret she guards. S he is terrified her powers will get out of control and hurt someone. At the Coronation dance, Elsa relaxed a little, having a laugh with her sister. But the crushing weight of her reality was ever present and she relapsed into her cold depressive shell. Once her secret was revealed, Elsa felt freed. She was no longer worried about what others thought of her. Alone in the mountains she could be her true self unrestrained and relieved. But it was a brief joy; Arendelle was gripped in an eternal winter of her doing. Elsa felt responsible though she didn’t know how to undo it. 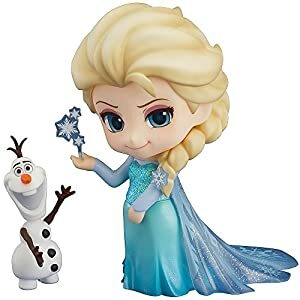 Following her return as Arendelle’s monarch, Elsa wears a genuine smile, and spends most of her spare time is spent using her abilities for the pleasure of others. She also became a bit of a perfectionist when it came to planning events. Elsa is quite powerful and could be a new member of many hero teams including the JLA. Bring her into the modern age but keep the essential parts of her background like hurting her sister at a young age and trying to control it throughout her life. Then being tossed into an incredible amount of responsibility while trying to control and hide her powers. Since Rapunzel and Eugene from Tangled arrived at Elsa’s coronation there could be a Disney universe that would allow all their stories to intertwine. Ice Animation can be permanent (+5). Ice Animations do have mental stats. 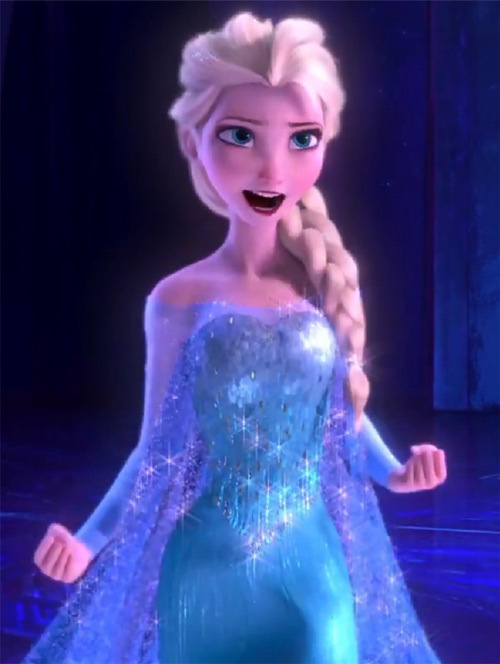 So, Elsa must divide her APs into three numbers as desired instead of the normal two (+1). Ice Control is limited to 05 APs when Elsa has negative emotions (-1). Ice Control may be used with the Indirect bonus (+3). Ice Production and Ice Control has no AV. Elsa uses her Accuracy skill for AV. (-0 or -1 depending on house rules). Ice Production may be used with the Area Effect bonus (+1). Petrification has a time limit of 24 hours before it takes effect. Within that time period. The victim feels freezing cold throughout their body and can’t get warm. Their hair will slowly turn white. The victim will feel weak. In the last second they will quickly be frozen through as solid ice (-1). Petrification is contingent on Ice Production (-1). Petrification may be used with the Area Effect bonus (+1). Petrification is ice instead of stone but still has Body rated at 09 APs (+0). Petrification is Permanent unless broken by an act of true love (GM’s discretion on what constitutes an act of true love) (-1). Cold Immunity, Ice Control, Ice Production, Petrification, and Weather Control are all Mystic Linked. Area Knowledge (Arendelle and surrounding areas), Connoisseur, Expertise (Heraldry, Politics, Foreign Affairs), Insta-Change x2 (clothing changes for herself and Anna), Special Credentials (Diplomatic Status). Kingdom of Arendelle (High), Anna (High). Authority Figure, Dark Secret (her powers; bought off at the end of the film), Miscellaneous: Elsa’s lack of Control of Ice Production comes into play when she begins to display negative emotions. She must roll an 11 or better to actively suppress her powers. A failed roll means the area and objects around her begin icing over. If she rolls double ones, as she did when arguing with Anna over blessing her marriage, it will burst forth! (This too was bought off at the end of the film). Each of the following characters were created using Elsa’s Ice Animation and made permanent. Each has grown to have their own identities. 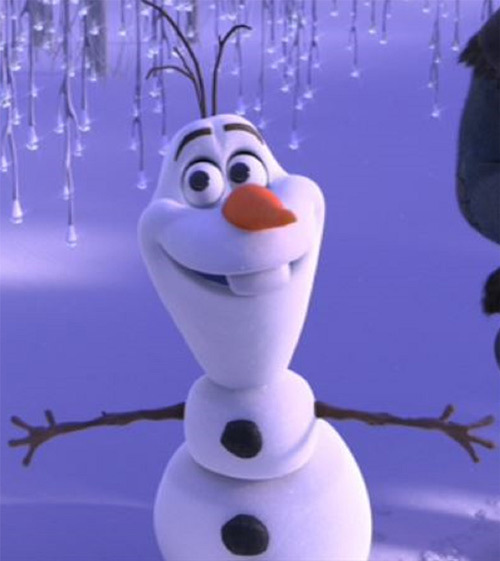 Olaf is a friendly snowman at only 2‘6” tall. He’s made completely of snow with twigs for arms and a carrot for a nose. Often when he sneezes he’ll launch his carrot-nose like a projectile. Olaf is friendly with an innocent nature. His ability to disassemble himself is both awkward and comical. Since Olaf is animated snow, he can be taken apart and re-assembled. If he melts, snow can be packed back in to replace the old. Dispersal represents his ability to take no or little damage from things like swords being plunged through him. Flame Immunity is represented by the cloud that follows Olaf (His own personal flurry) it keeps the temperature just right for his body to stay frozen. Running is Olaf sliding on his belly in the snow. Shrinking is always on and already factored in (-1). Attack Vulnerability: -2 C.S. to RV vs Heat-based Attacks, Distinct Appearance. Elsa created Marshmallow to force Anna and company from her ice palace. He’s an enormous icy guardian. When he sits still he can make himself look like a large mound of snow. Growth is always on and already factored in (-1). Attack Vulnerability: -2 C.S. to RV vs Heat-based Attacks, Strange Appearance. The little two legged snowballs from Frozen Fever were produced by accident whenever Elsa sneezed. They are permanent Ice Animations with 01 AP for all stats. There are over a hundred of them and Olaf has placed them at the Ice Palace with Marshmallow. He’s trying to name them all as well… good luck Olaf. 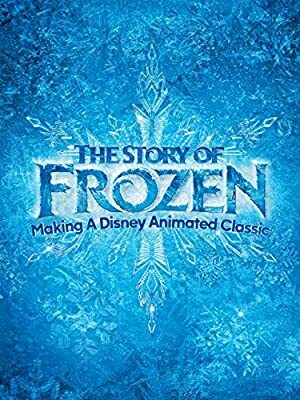 Source of Character: The 2013 Disney computer-animated musical fantasy film Frozen and the animated short sequel Frozen Fever, characters voiced by Idina Menzel, (8-yr-old Elsa) Eva Bella, (12-yr-old Elsa) Spencer Ganus, and (Olaf) Josh Gad. Helper(s): Wikipedia, Frozen wikia, Goldfishturtle (For Height of Elsa and Olaf), Disney Wikia . Writeup completed on the 24th of February, 2016.